As the most easterly point in all of the United Kingdom, Ness Point will always be an attractive spot for tourists and visitors. From here the North Sea seems to stretch on forever and if you can catch the sun setting on the distant horizon, that’ll make one hell of a photo. 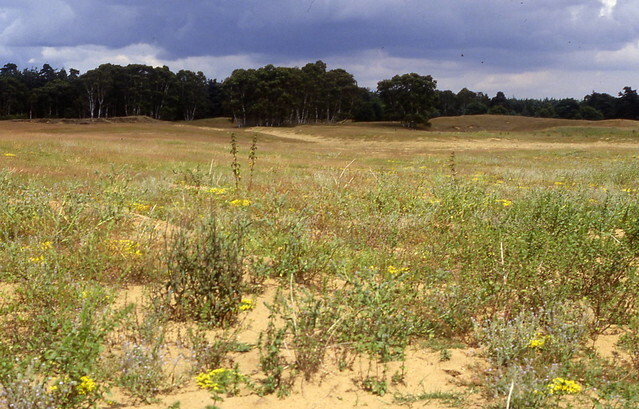 Thousands of years ago sand dunes washed all over this part of Suffolk and Wangford Warren is a remnant of such a landscape so unusual in this country today. Over 38 acres these mounds and dunes create a panorama that appears starkly foreign to what you might expect from soggy old England. Before falling victim to the same coastal erosion that caused much of Dunwich to be lost, Covehithe was a flourishing fishing port with the large church a physical symbol of the area’s success. 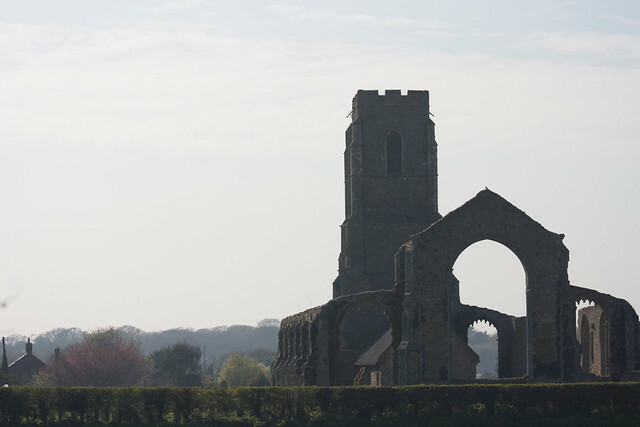 As fortunes declined, large parts of the church were dismantled and today its shell provides one of the most hauntingly beautiful landscapes in the county. 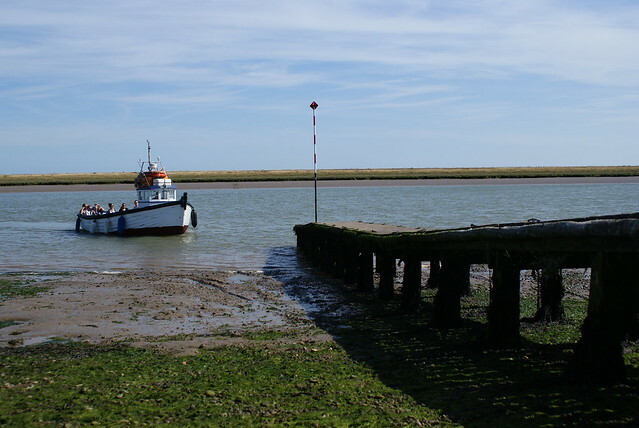 As Suffolk’s only island, Havergate is a unique environment that everyone who lives in the county should visit at least once. The marshy landscape will often be populated by wading birds and brown hares, adding an extra animal element to your view. If you head a little further down the River Alde from Havergate you’ll reach this scientifically important shingle spit and former nuclear testing location owned by the National Trust. Each and every way you turn your head something will catch your eye whether that be the lighthouse, the testing pagodas or the vegetated shingle stretching out to the sea beyond. While you’re in the area head to the inland side of the River Alde to visit this 12th century castle. 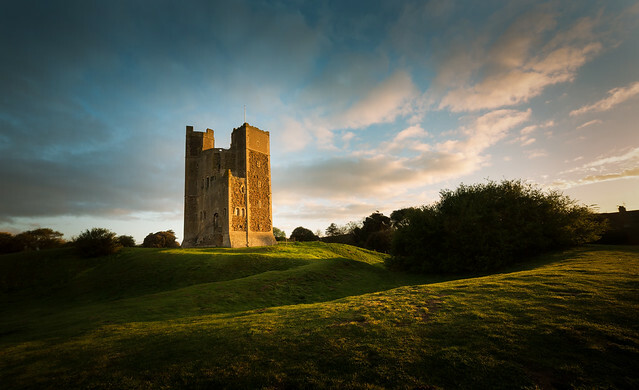 Although all of Suffolk’s castles are stunning in their own right, Orford Castle is remarkably intact and stands majestically in the rolling countryside, dominating the skyline. 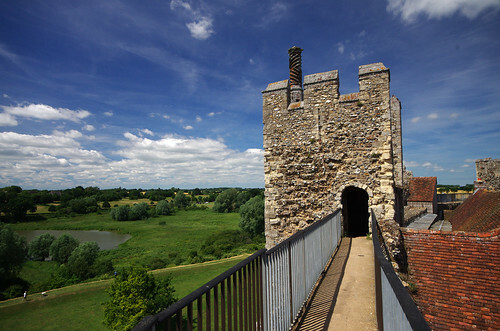 For views back over towards Orford Ness, make your way up to the castle’s roof. Coastal erosion has destroyed much of the former settlement at Dunwich that flourished up until around the 13th century, giving the area a palpably eerie atmosphere. 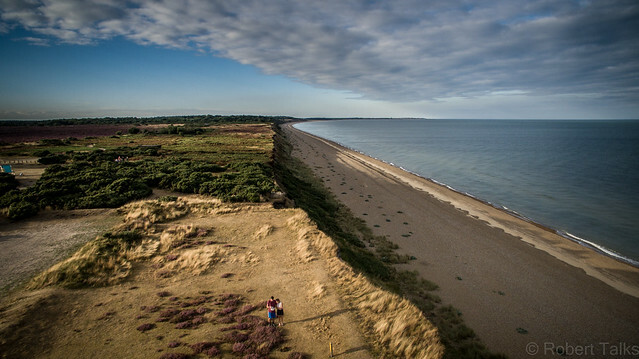 After looking down from the cliffs to imagine what the area may have looked like - you may even hear church bells from beneath the waves - head slightly inland to admire the serenity of Dunwich Heath and its gorgeous patchwork of heather and gorse. Despite not having the same historical or natural heritage as other locations on this list, this concrete construction on the Orwell still provides a stark sense of beauty for photographers to admire. It clearly has something photogenic about it as many movie productions have used it as a filming location. 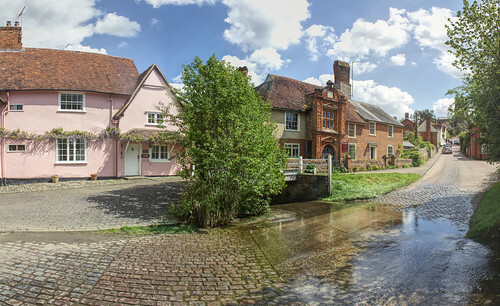 If you’re looking for the prettiest village scene in all of Suffolk then stand next to - or in if you fancy getting your feet wet - The Splash, a small ford that runs over the bottom of Kersey’s Church Hill. Look one way and you’ll see the village church gazing down upon beautiful red-brick homes. Turn your head the other way and you’ll see the 14th century Bell Inn luring you in for a pint and a bite to eat. While you could easily sit at ground level and admire the castle that inspired Ed Sheeran’s ‘Castle on the Hill’, we recommend getting up on the battlements to do the Wall Walk. From here you’ll get spectacular views of Framlingham Mere and the Suffolk countryside as you put yourself in the shoes of a 12th century soldier. 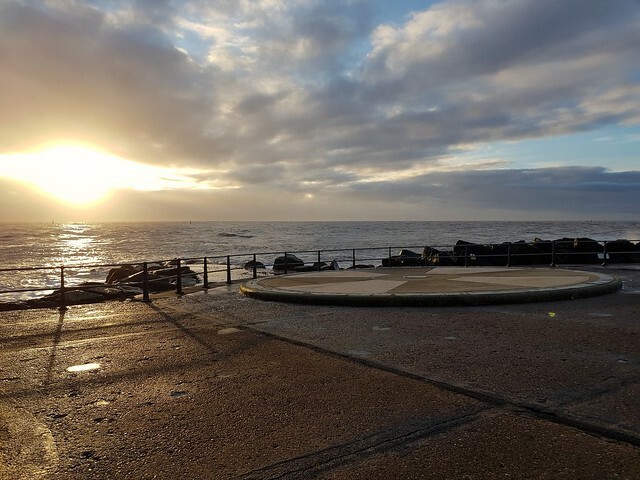 Located on the outstretched finger of Landguard Peninsula, from here you’ll be able to look over to Harwich and watch the comings and goings from its busy port and the adjacent Felixstowe Docks. 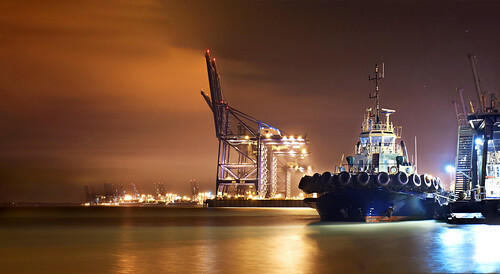 This industrial view can be particularly eye-catching at night when the cranes are illuminated by nothing but artificial light. As you stand at the Snape Maltings concert hall looking out towards Iken, the reedbeds, snaking River Alde and its various tributaries together look almost other-worldly. The producers of Doctor Who evidently felt the same as in 1978 they used it to film an episode depicting marshland home to an alien race. This gorgeous market town is full of historical points of interest and as you take a walk round you’ll find yourself constantly stopping to take in the sights. 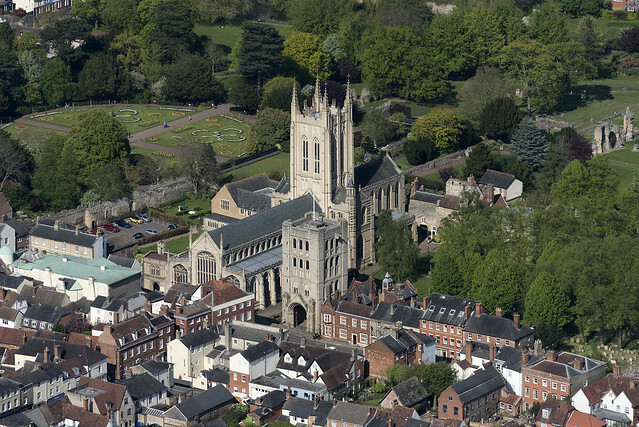 To view the area in its entirety, however, book onto one of St Edmundsbury Cathedral’s tower tours where you’ll be guided up to the top of the tower finished in 2005. 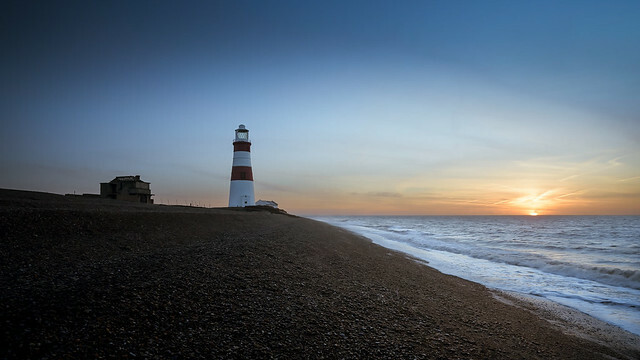 The Suffolk Coast is undoubtedly the jewel in our county’s crown and that’ll largely be down to the immeasurable number of vistas it provides. 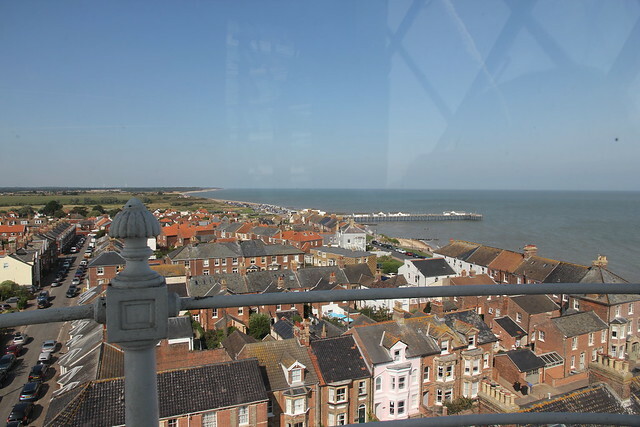 Of all the seaside views, the very best may well be the panorama you get from Southwold’s lighthouse: looking down onto the pier and out towards Easton Farm Park and Walberswick, you’ll rarely be able to see more of our coast in one go. There’s not a great deal of this 1068 castle left nowadays but it is still well worth making the short but steep walk up Castle Hill to get views of this small market town near the Norfolk border. From here you get incredible elevated views of the town’s parish church, its beautiful homes and the stretching green spaces beyond. 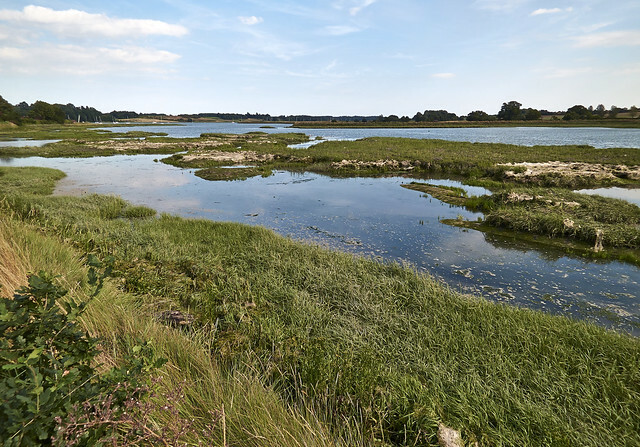 This walking spot near Woodbridge is one of Suffolk’s lesser-known National Trust sites and we’re sure those who explore the area would love it to stay that way. Once you’ve made your way up the hill’s gentle grassy slopes - perhaps as part of an extended walk from Woodbridge - you’ll get wonderful estuarine views and a close-up look at some specimen trees. 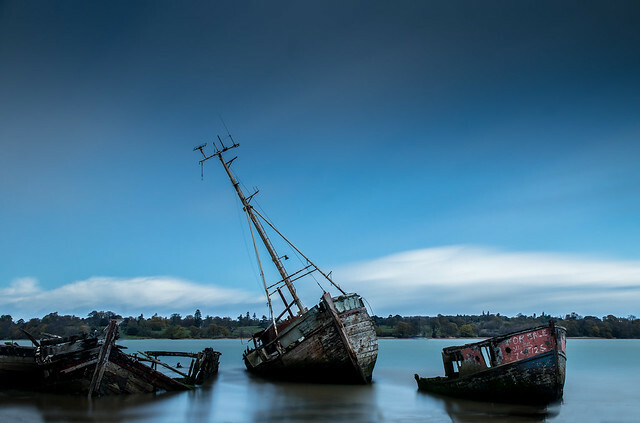 Boats and barges - some riverworthy and some wrecked - will star when you visit this hamlet on the River Orwell. Both are frequent subjects for photographers visiting the area, producing contrasting moods or feelings depending on what they are trying to achieve. Appropriately known as Constable Country, this area of outstanding natural beauty was an inspiration to famed landscape painter John Constable and we’d be remiss not to include it on our list. 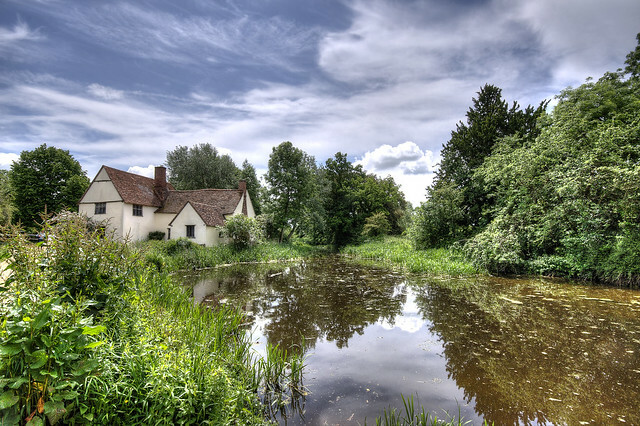 Including Flatford, East Bergholt and Stratford St Mary, the are numerous village and countryside vistas for you to absorb while in the area.